Home / Unlabelled / Ten Most Life Changing Books. 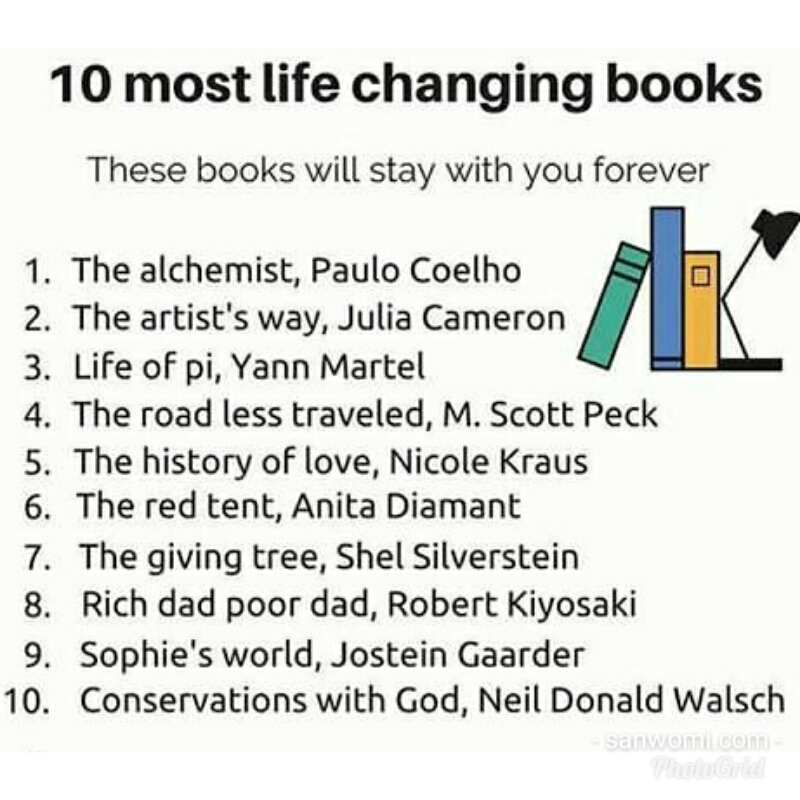 Ten Most Life Changing Books. To be successful in life reading books are very important. Most of the world richest people and world most powerful people are readers. We bring the most life changing books, you should start reading them now. 1 The alchemist, Paulo Coelho. 2 The artist's way, Julia Cameron. 3 Life of pi, Yann Martel. 4 The road less traveled, M. Scott Peck. 5 The history of love, Nicole Kraus. 6 The red tent, Anita diamant. 7 The given tree, Shel Silverstein. 8 Rich dad poor dad, Robert Kiyosaki. 9 Sophie's world, Josten Gaarder. 10 Conversation with God, Neil Donald Walsch.